Construction de Qualité à Faibles Déperditions (CQFD) builds houses in wood in the "Rhône-Alpes" region, in France. Certified european builder of passive houses, the company asked GVJ Web Consulting to rebuild its website. The result is a simple and efficient site, easy to navigate, where information can be found quickly. A few pictures on top of the page give the visitor an overview of the company's project, without getting in the way. 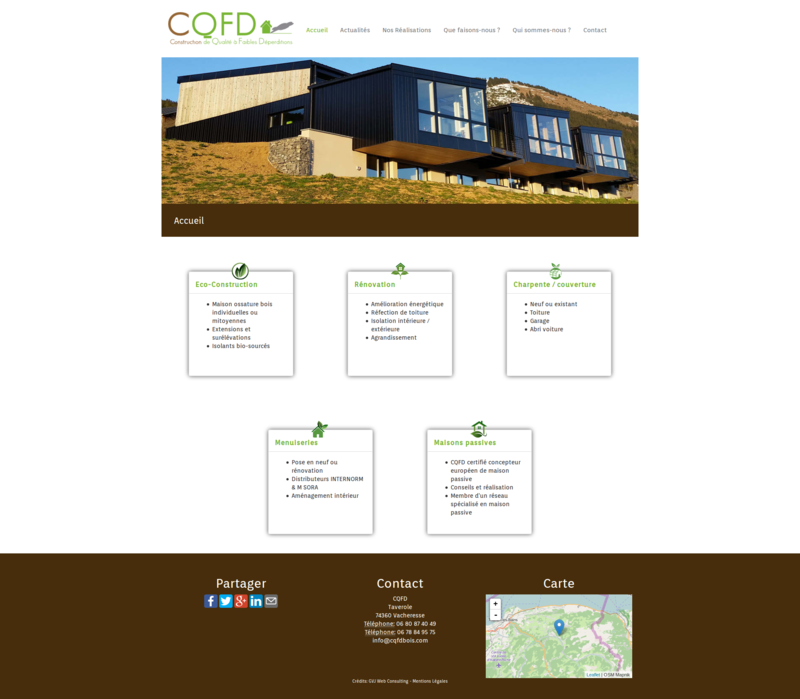 Creation of websites and web consulting services in Geneva's region (Evian Thonon).